It's officially time to start Christmas shopping, hopefully you were a bit better than I was and actually managed to pick up gifts for other people than yourself during the Black Friday sales. If not, then I've got some good news for you, you can do all of your shopping for all the family (and friends) in M&S as they have an enormous Christmas gift selection. 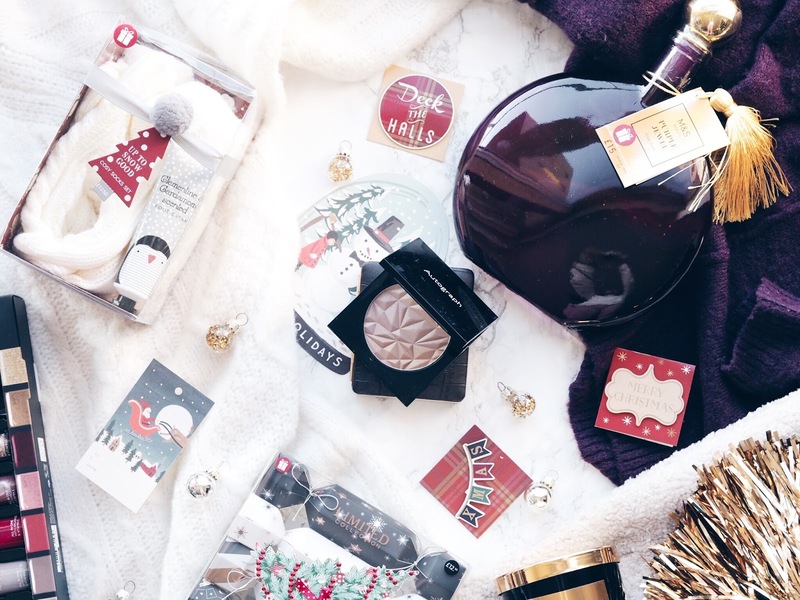 I'm a big fan of M&S, for their beauty selection, clothes, underwear and food, so it doesn't really surprise me that their festive gifts are also incredible. I've selected a few of the items that caught my eye that would be suitable for both men and women and put them together in a cute little gift guide post for you. 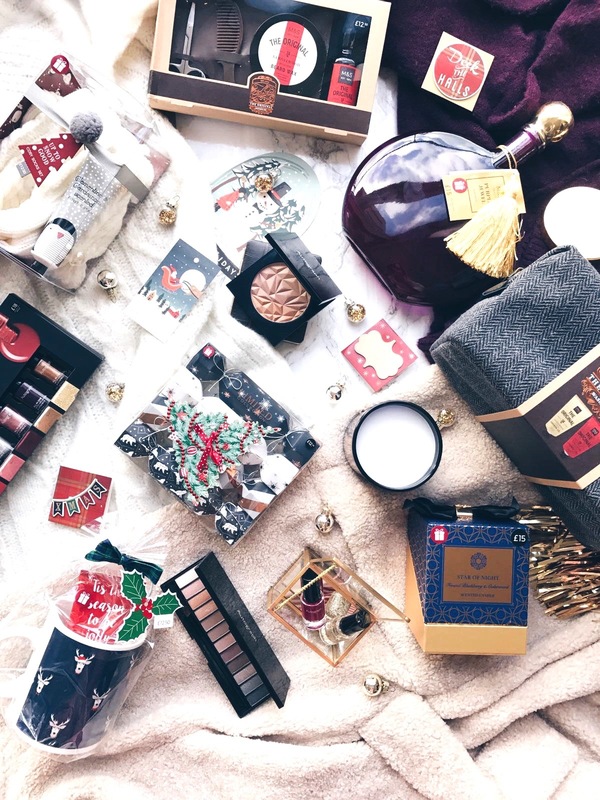 As I mentioned I've always loved their beauty section and this year they have the most lovely beauty gift sets that are suitable for so many ages. 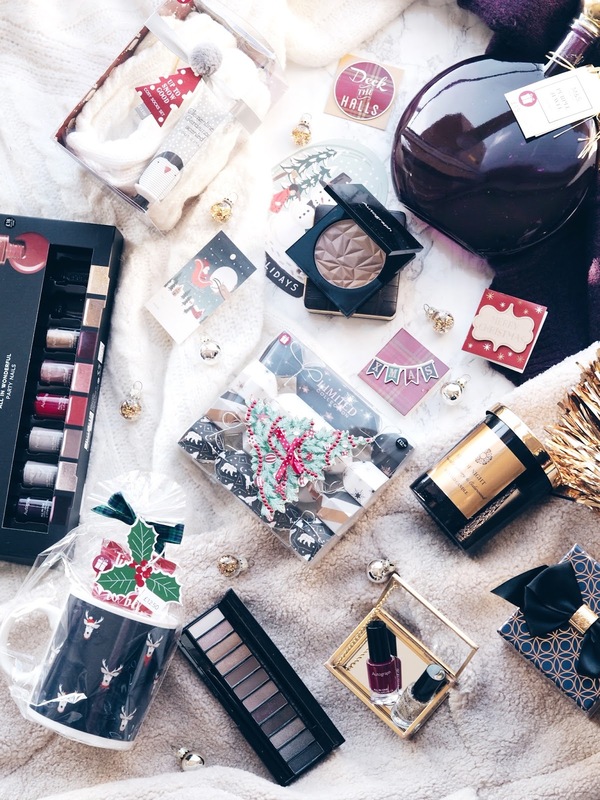 I absolutely love the nail polish gift set, which contains 8 really versatile nail polishes in really festive shades. These kinds of sets were always my absolutely favourite thing to receive as a teenager but being a nail polish junkie now I'd also love to receive it at this age. If you know someone that loves beauty crackers then M&S have some really affordable and adorable crackers with mini lip glosses, nail polish and nail file in. They're also chic enough if you want some understated crackers on the table for Christmas dinner. The other beauty item that caught my eye from their beauty hall was this stunning jewel bath foam, which I just think looks so incredibly stunning with the purple and gold design. M&S bubble bath always reminds me of my grandma because we would always buy her some for Christmas, so it feels like such a nostalgic gift. Something I love about M&S is they do home wear and things to make the home cosy really well. With this in mind I picked up the grumpy stag mug that also comes with a shower gel. I thought this was lovely because I think it can be a gift for men and also women. You all know that I'm a big luxury candle fan, but I also love finding affordable home scents that don't cost the world but still fill a room with beautiful fragrance. M&S have such a lovely selection of candles that smell so good, but I particularly love their festive fragrances at the moment especially the Mandarine, Clove and Cinnamon scent. Something all homebodies need are a snuggly pair of slipper socks and and foot cream and the Up To Snow Good gift set is just the cutest stocking filler for the cosy home lover. Finally, because we can't leave the men out I've picked a few bits and bobs that I think will work for so many different men in your life. 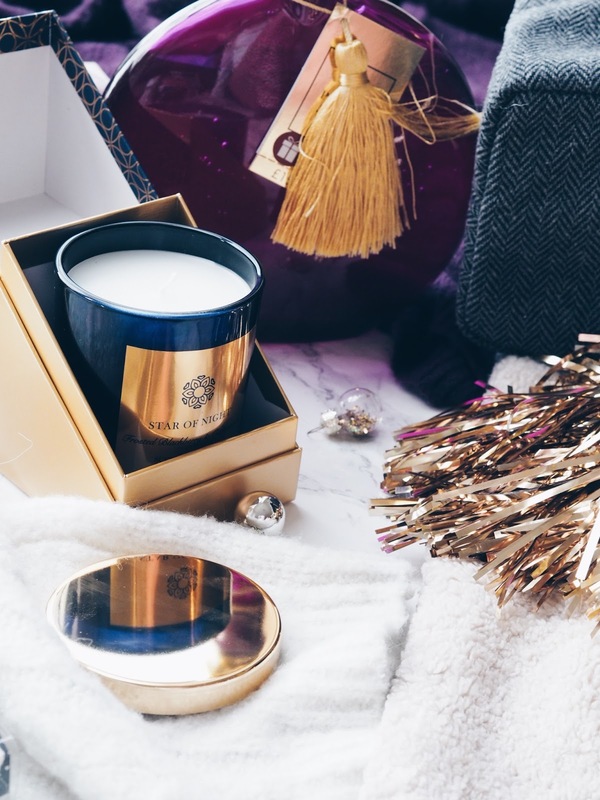 M&S for gifts for men definitely feels like a one stop shop and I feel like any of the gifts I picked could be given to my husband, brother and dad. They currently have so many wash bag gift sets, which are so affordable, but my favourite one is the grey tweed style one because it's such good quality and also comes with two travel sized shower gels. The other gift set I love is their mini grooming set with scissors, a small brush, beard wax and beard oil. These are just my favourite two but they have so many more and I also think this leather, wooden spice set looks so expensive but again such an affordable price! 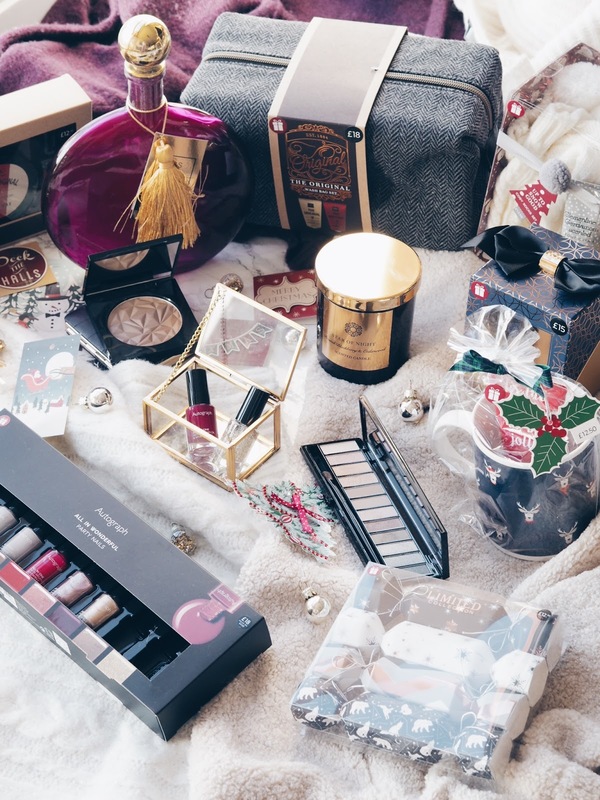 Hopefully this post has inspired you to start you Christmas shopping if you haven't already but also to check out the M&S Beauty Hall for their insane selection of gifts. 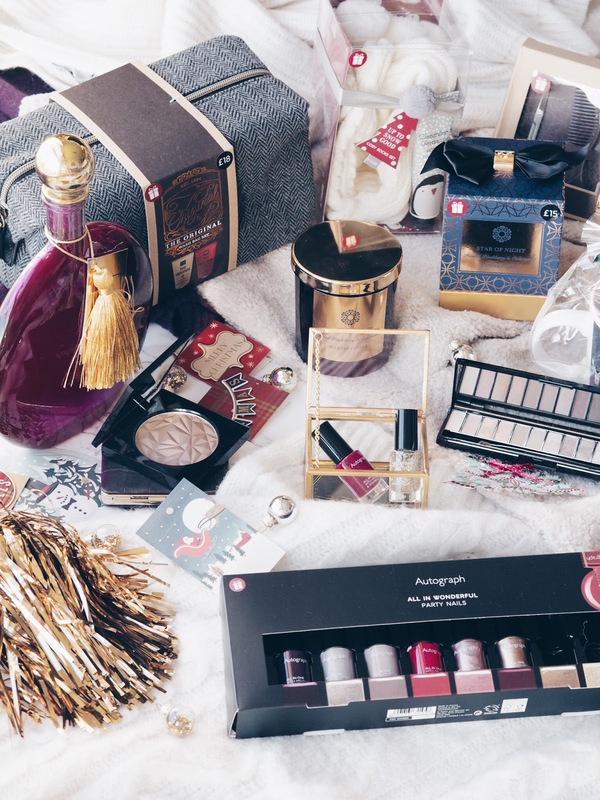 How good have you been at buying Christmas gifts this year? 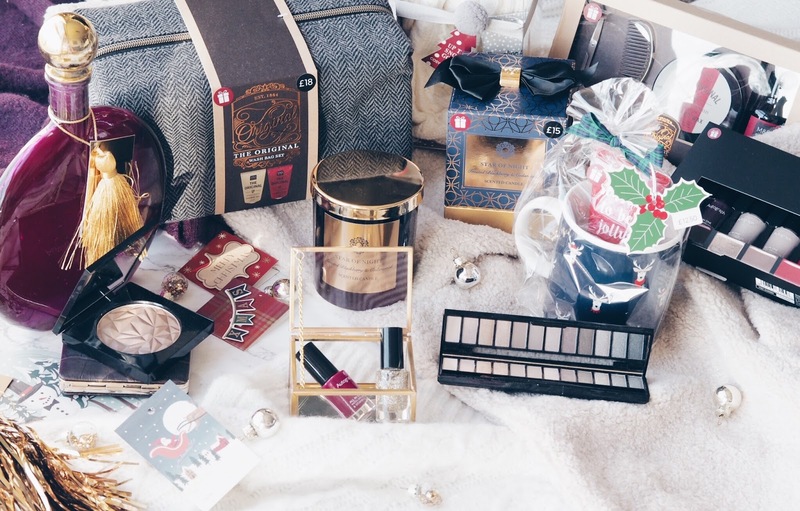 I never thought of going to M&S for christmas gifts but they have such an amazing range of products!